Mentha piperita, or Peppermint as it is commonly known, is a perennial herb native to the Mediterranean but has also been cultivated in the USA, Italy, Great Britain, and Japan. It can be identified by its serrated leaves and by its flowers that range in color from light pink to mauve, growing in a conical shape. Peppermint essential oil has been called one of the most versatile oils in the world, sharing the title with Lavender. Abounding in dermal and oral uses as well as anti-microbial properties, there are countless issues for which it is beneficial, promoting the wellness of body, mind, and overall health. The scent of Peppermint can be described as being fresh, sharp and comparable to Menthol, and the components of this multi-purpose oil are used internationally in cosmetic, culinary, and health industries. Extracted from the Peppermint herb, the uses of this cherished plant and its benefits have been traced back to Chinese and Japanese folk medicine practices and even Ancient Egyptian times where dried Peppermint leaves were found placed in tombs inside the pyramids. Due to the common incidence of using the name Peppermint interchangeably with the terms Mint and Spearmint, there has been confusion about its history of cultivation, but ancient textual references to it prove that it has been used for culinary purposes and in herbal medicine since 1500 BC. Peppermint is also mentioned in Greek mythology in the story of the nymph “Mentha” or “Minthe,” who is transformed into the sweet-smelling herb that releases a powerful, lingering aroma every time she is stepped on. Peppermint is one of the hundreds of species belonging to the Mint family of plants or the Mint “genus.” Included in this genus are herbs such as Spearmint, Water Mint, and Forest Mint. Peppermint is thought to be a naturally occurring hybrid of Water Mint (M. aquatica) and Spearmint (M. spicata). The main chemical constituents of Peppermint essential oil are Menthol, Menthone, and 1,8-Cineole, Menthyl acetate and Isovalerate, Pinene, Limonene and other constituents. The most active of these components are Menthol and Menthone. Menthol is known to be analgesic and is thus beneficial for reducing pain such as headaches, muscle aches, and inflammation. Menthone is known to be analgesic as well, but it is also believed to show antiseptic activity. Its invigorating properties lend the oil its energizing effects. Used medicinally, Peppermint essential oil has been found to eliminate harmful bacteria, relieve muscle spasms and flatulence, disinfect and soothe inflamed skin, and to release muscle tension when used in a massage. When diluted with a carrier oil and rubbed into the feet, it can work as a natural effective fever reducer. Used cosmetically or topically in general, Peppermint acts as an astringent that closes pores and tightens the skin. It’s cooling and warming sensations make it an effective anesthetic that leaves the skin numb to pain and calms redness and inflammation. It has traditionally been used as a cooling chest rub to relieve congestion, and when diluted with a carrier oil such as coconut, it can promote the safe and healthy renewal of skin, thus offering relief from skin irritations such as sunburn. In shampoos, it can stimulate the scalp while also removing dandruff. When used in aromatherapy, Peppermint essential oil’s expectorant properties clear the nasal passageway to promote the relief of congestion and to encourage easy breathing. It is believed to stimulate circulation, reduce feelings of nervous tension, soothe feelings of irritability, boost energy, balance hormones, and enhance mental focus. The scent of this analgesic oil is believed to help relieve headaches, and its stomachic properties are known to help suppress the appetite and promote the feeling of being full. When diluted and inhaled or when rubbed in small amounts behind the ear, this digestive oil can reduce the feeling of nausea. Due to its anti-microbial properties, Peppermint oil can also be used as a cleaning solvent to sanitize and deodorize the environment, leaving behind the trail of a fresh, cheerful scent. Not only will it disinfect surfaces, but it will also eliminate bugs in the home and function as an effective insect repellant. Peppermint essential oil is reputed to have many therapeutic properties. Antiseptic, astringent, cordial, nervine, sudorific. Analgesic, cephalic, cordial, decongestant, digestive, emmenagogue, expectorant, nervine, stimulant. Analgesic, anesthetic, anti-galactagogue, anti-phlogistic, antispasmodic, astringent, carminative, cephalic, cholagogue, cordial, decongestant, digestive, emmenagogue, expectorant, febrifuge, hepatic, nervine, stimulant, stomachic, sudorific, vasoconstrictor, vermifuge. Due to its need for water, Peppermint flourishes in cool or temperate regions that are wet such as near streams or in areas with plenty of rainfall, though adequate drainage is also required. In order to produce the ideal balance of oil compounds during the growing phase, the best growing conditions would consist of warm or hot days followed by cool nights. When grown in warm climates, Peppermint can grow in partial shade or full sun. When harvested in the sun, it will be higher in oil content; however, if the growing conditions are too warm, especially at night, less desirable compounds such as highly toxic Menthofuran will form. When 10% of the Peppermint crop is in the flowering stage, it produces the optimum oil and Menthol yield and quality. When all traces of dew disappear on a dry, sunny day, harvesting can begin. The whole Peppermint plant is cut down with the aid of conventional hay mowers. If the stems become fractured or if the leaves break, there will be lower oil yields and this will prevent the regrowth of the plants. For this reason, it is important to cut the plant neatly. A more economical oil extraction is achieved through lower moisture content, so once the Peppermint is cut, it is left in the field to wilt. Afterward, it is sliced with a forage harvester into a mobile distillation pot, tub, or trailer in which it is transported to the facility for distillation. Despite the ideal wilting conditions, Peppermint will still lose essential oil from lying in rows of dry leaves or in heaps for any amount of time. If the Peppermint is not checked, the quality and quantity of the oil could be compromised by fermentation – that is, the chemical breakdown of the Peppermint by microorganisms. In order to prevent this, some producers distill the fresh Peppermint as soon as it is cut. HOW IS PEPPERMINT OIL EXTRACTED? The essential oils of Peppermint are found in cells on the underside of the leaves and are collected through the process of steam distilling the fresh or partially dried plant leaves. As with all other essential oils, Peppermint will retain stability and have a prolonged shelf life if stored in a cool, dry place away from direct sunlight with the bottle cap tightly closed. In a diffuser, Peppermint oil can help to enhance relaxation, concentration, memory, energy, and wakefulness. When used topically in homemade moisturizers, the cooling and calming effects of Peppermint essential oil can relieve sore muscles. Historically, it has been used to reduce itchiness and the discomfort of inflammation, headaches, and joint pains. It can also be used to relieve the sting of sunburns. In a diluted massage blend or bath, Peppermint essential oil is known to relieve back pain, mental fatigue, and coughs. It boosts circulation, releases the feeling of having tired feet, relieves muscular pain, cramps, and spasms, and soothes inflamed, itchy skin among other conditions. Well-known for its anti-microbial and anti-fungal qualities, a few drops of the oil can be added to homemade spray cleaners and spritzed on areas that are particularly in need of anti-bacterial care, such as bathrooms and kitchens. Peppermint makes an effective and natural deterrent to house pests and insects. As per NAHA guidelines, we do not recommend the ingestion of essential oils. In low dilutions, this oil is non-toxic and thus does not irritate the skin; however, its Menthol content can potentially cause irritation to the skin and mucous membranes. It should never be used around the eyes, inner ears, and any sensitive areas. Due to its stimulant properties, using Peppermint oil daily could interfere with sleep patterns. The following symptoms can also be the result of overdose: skin rashes, urinary problems, abdominal pain, diarrhea, nausea, vomiting, slow or rapid breathing, convulsions, depression, and in severe cases, unconsciousness. 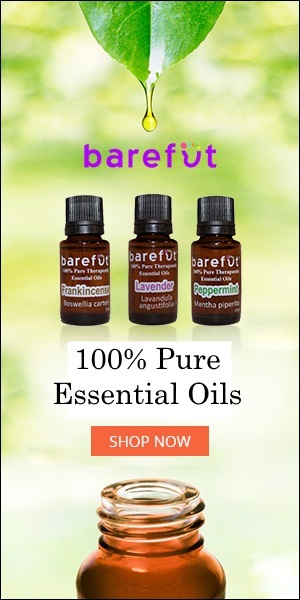 As is the case with all essential oils, it is imperative to consult a medical practitioner before using Peppermint essential oil for therapeutic purposes. Pregnant and nursing women are especially advised not to use Peppermint essential oil without the medical advice of a physician, and the oil should always be stored in an area that is inaccessible to children, especially those under the age of seven. Peppermint belongs to the Mint family with Spearmint, Water Mint, and Forest Mint and is a naturally occurring hybrid of Water Mint and Spearmint. Peppermint essential oil is multi-purpose, earning the reputation of being one of the most versatile oils in the world along with Lavender oil. The most active components of Peppermint essential oil are Menthol and Menthone, which are known to reduce pain and to invigorate, energize, and prevent the growth of harmful bacteria, respectively. There are numerous applications for which Peppermint essential oil can be used, including cosmetics, aromatherapy, relaxing baths, and as a cleaning agent around the house. Due to its stimulant properties, using Peppermint essential oil daily could interfere with sleep patterns, and an overdose of the oil can lead to potentially severe side effects.